White House press secretary Sarah Huckabee Sanders was asked to leave a restaurant in Virginia Friday night when the owner apparently decided he didn't want to serve her party out of "moral conviction." The news was shared in a Facebook post by the waiter from The Red Hen who shared, "I just served Sarah huckabee sanders for a total of 2 minutes before my owner asked her to leave and she complied. Her family left on their own accord, we didn't actually refuse service or 'kick her out.'" Sanders tweeted the news herself on Saturday morning, writing, "Last night I was told by the owner of Red Hen in Lexington, VA to leave because I work for @POTUS and I politely left." "Her actions say far more about her than about me. I always do my best to treat people, including those I disagree with, respectfully and will continue to do so," Sanders added. After the waiter's social media post went viral, hundreds of competing Yelp and Facebook reviews began being posted from both Democrats and Republicans. The reviews ranged from low one stars to top five stars. According to Newsweek, most reviewers thanked the restaurant for taking a moral stand. 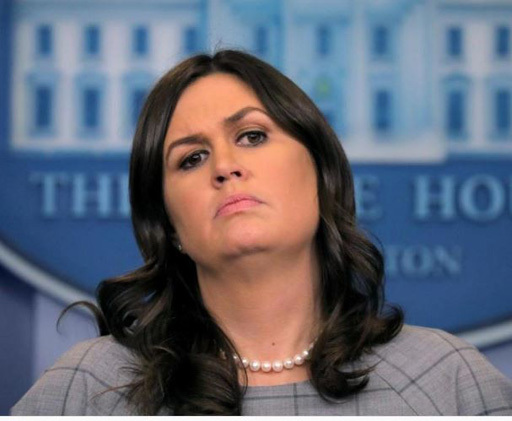 If people think it's OK to deny service to homosexuals because they believe it goes against the word of God, then there's nothing wrong with denying service to Sarah Sanders who bears false witness as @PressSec @WhiteHouse every day.